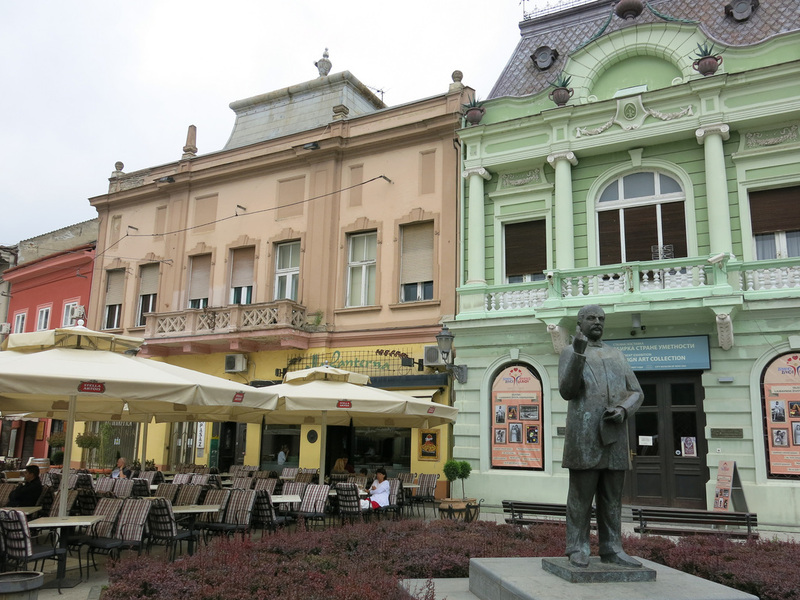 Similar to Belgrade, Novi Sad features a pedestrian shopping and cafe street that starts with a public square and eventually leads to a fortress complex. 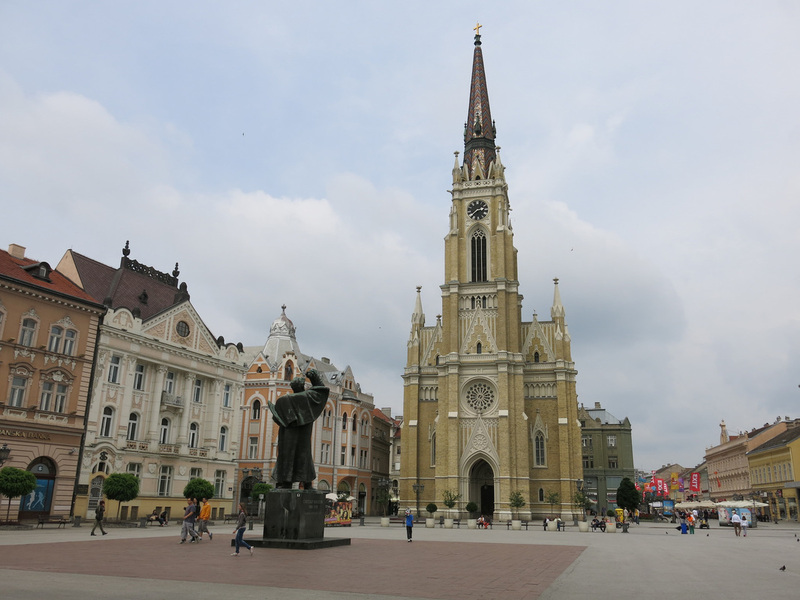 Unlike Belgrade, Novi Sad spent a bit more time under the rule of the Habsburg dynasties. 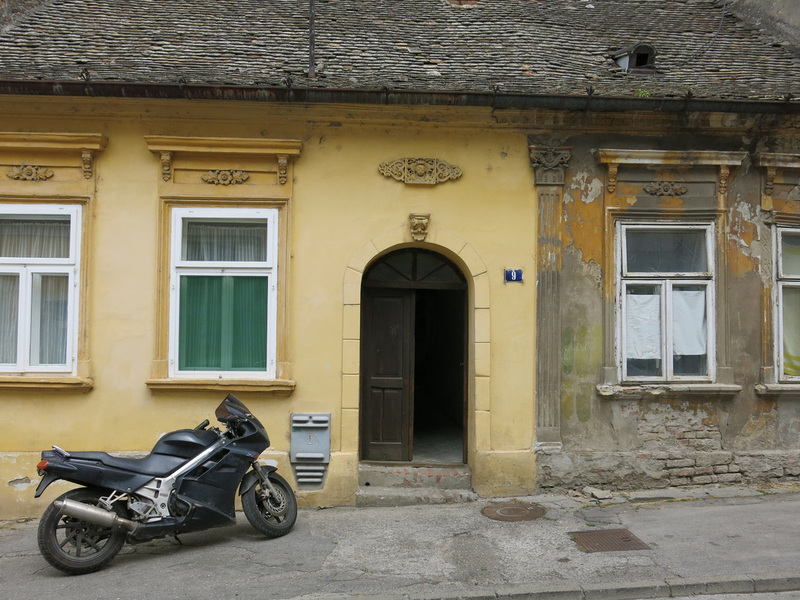 I noted some minor architecture differences, but this could just be the timing of construction booms. 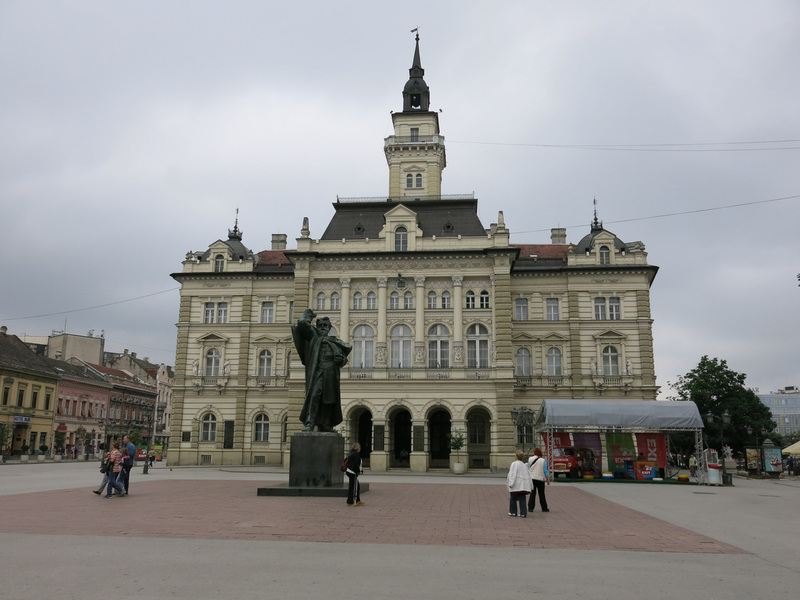 Novi Sad is in the Autonomous Region of Vojvodina which gives politicians certain veto powers in the Serbian parliament. 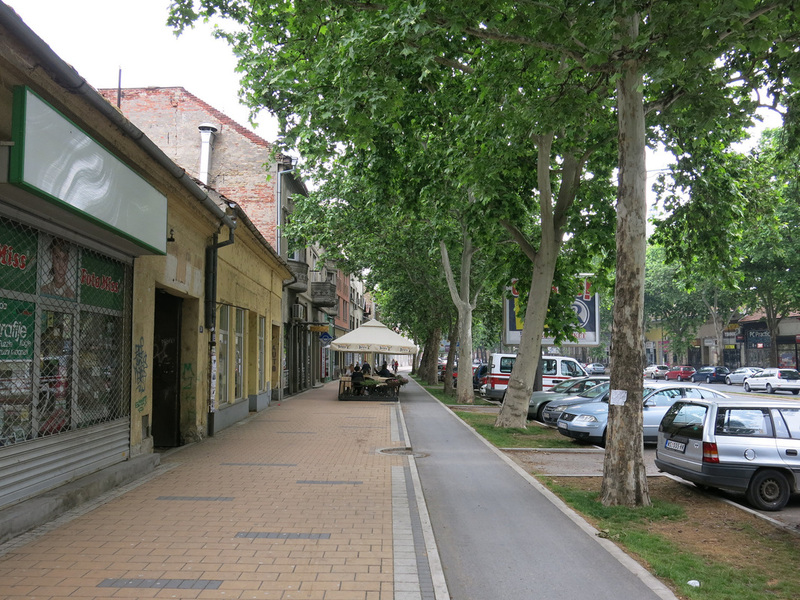 It is a much less contentious relationship with Serbia than Kosovo in the South. 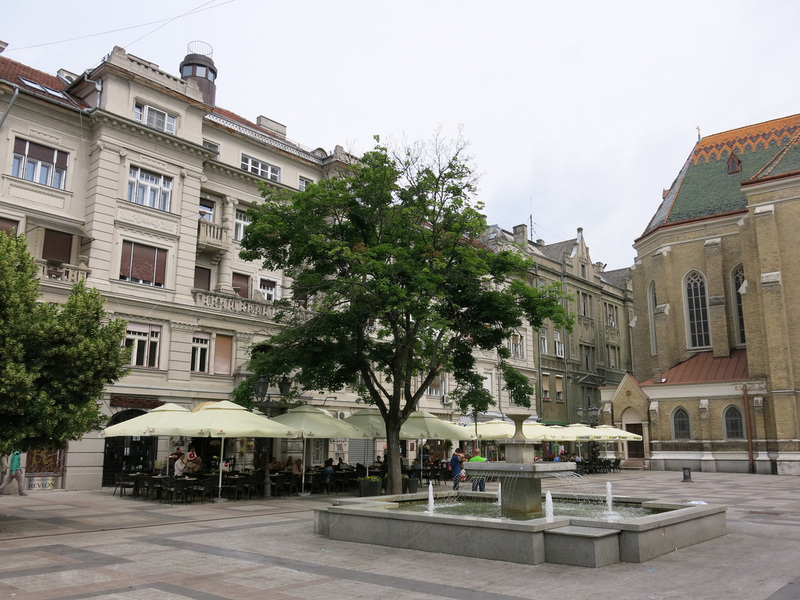 From a travelers perspective there's little difference and taking a bus (one hour, 770 DNR) or a train (two hours, 280 DNR) between Belgrade and Novi Sad is an easy and seamless process. 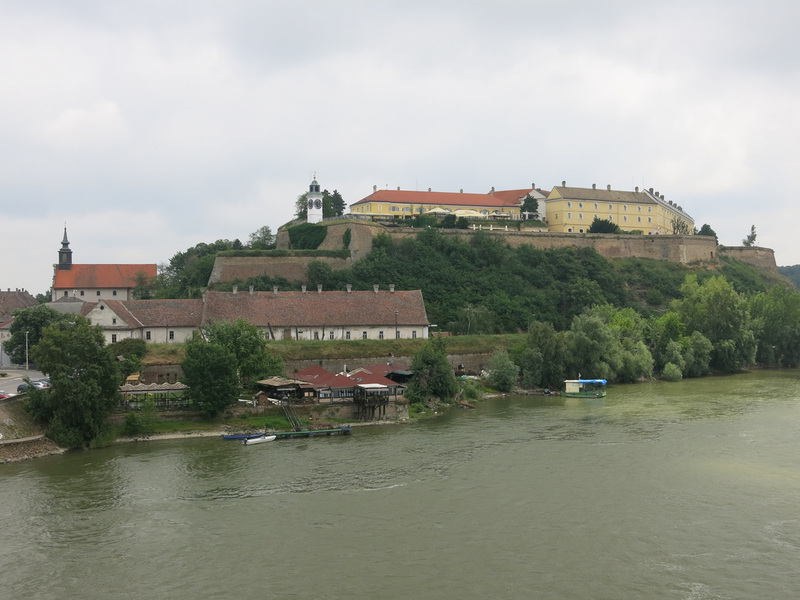 The Petrovaradin Fortress was never overrun by an enemy, however, today it has been overrun with hotels and restaurants. 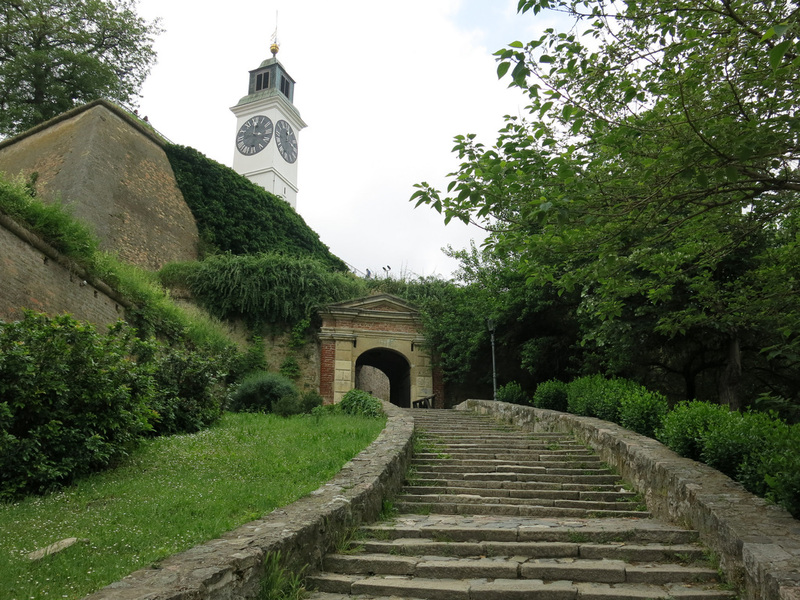 Like Belgrade's Fortress there is an impressive opening walk through a gate and below a clock tower, however, the interior has a park like environment. 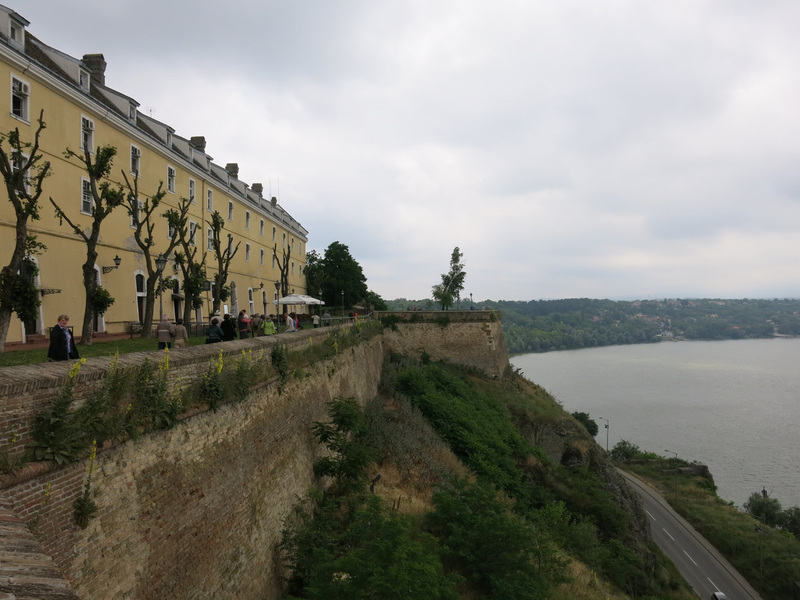 I can't fault the conversion though - it's probably a much more practical and useful application of the fortress than restoring it and catering to tourists instead of locals. 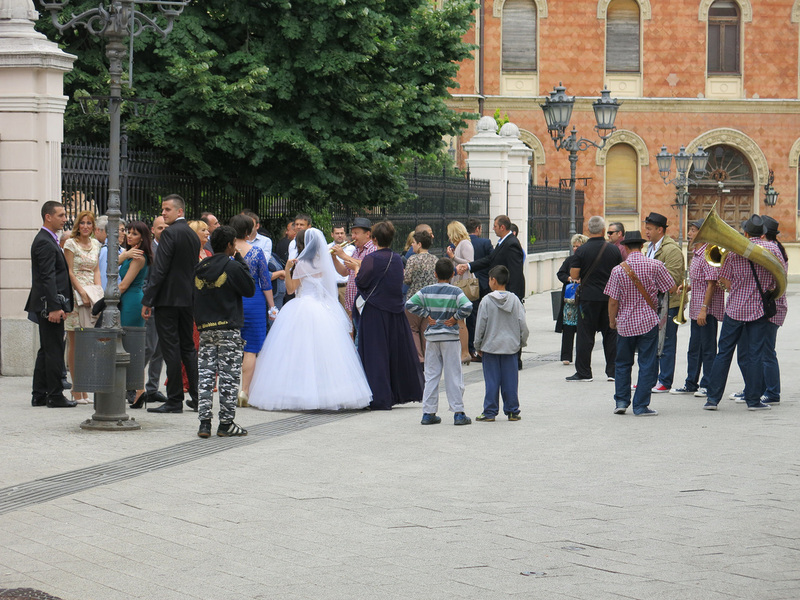 The fortress seemed to be a popular gathering spot on the weekend. 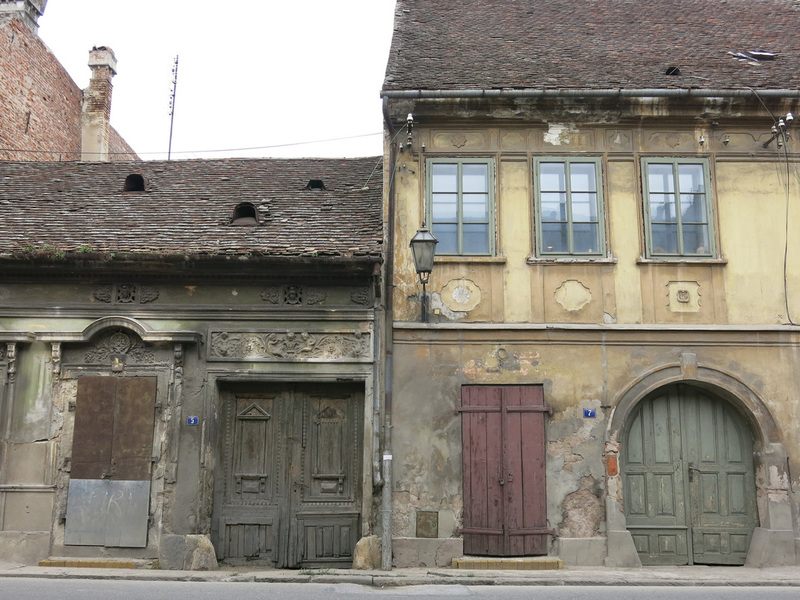 The fortress alone may not be worth the walk from Novi Sad's Old Town center, however, the surrounding village at the base of the fortress was a well preserved historical area. 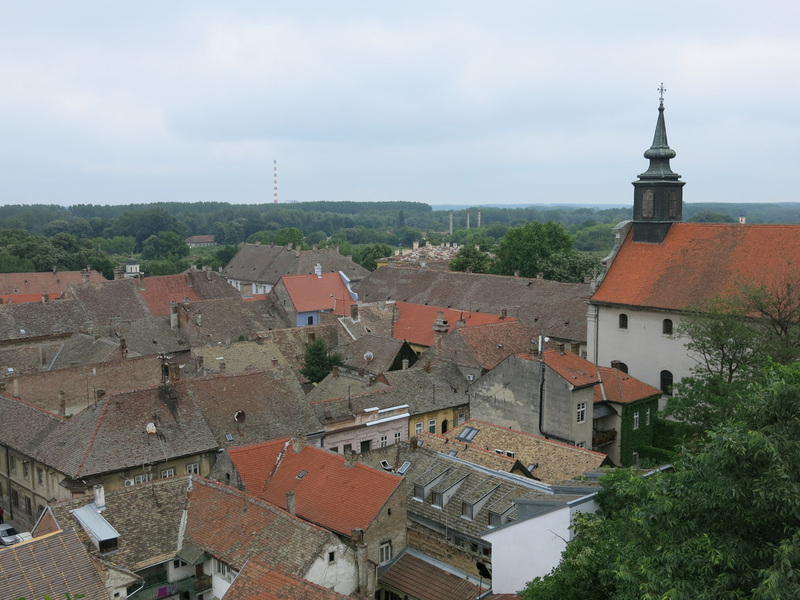 I liked walking around this area better than the fortress above. 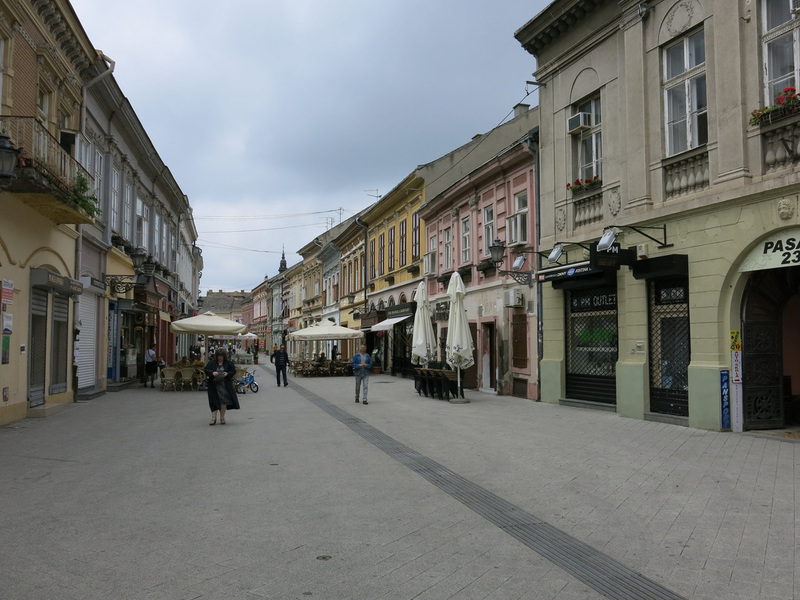 The rest of my time I spent walking the pedestrian area and shooting down side streets between the square and the village.